Subject: LongIsland.com - Your Name sent you Event details of "Progressive Insurance New York Boat Show"
The 2019 Progressive Insurance New York Boat Show docks at the Javits Center January 23-27, 2019 bringing lifelong boaters and enthusiastic dreamers the latest in luxury motor yachts, sport fishers, performance boats, watersport boats, and thousands of new marine technologies and accessories. 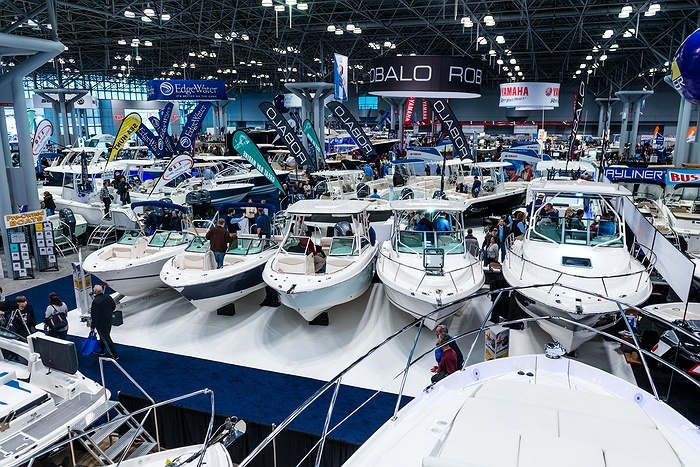 A New York tradition since 1905, the five-day event delivers a shopping paradise for boaters with the latest in boating innovations, plus interactive boating workshops, Progressive’s Oculus Rift virtual reality experience, and fun for the whole family. Bring the kids for the new Touch-A-Boat Tour, where they can board real boats, snap a pic at the helm and learn the ropes of life on the high seas. Plus, elevate savings to superstar levels at the new Super Thursday, where shoppers can take advantage of even deeper savings on the best in boating, food & drink specials, plus $5 tickets after 5 p.m.!